Come and celebrate Christmas Day 2018 at The Station Grill restaurant. 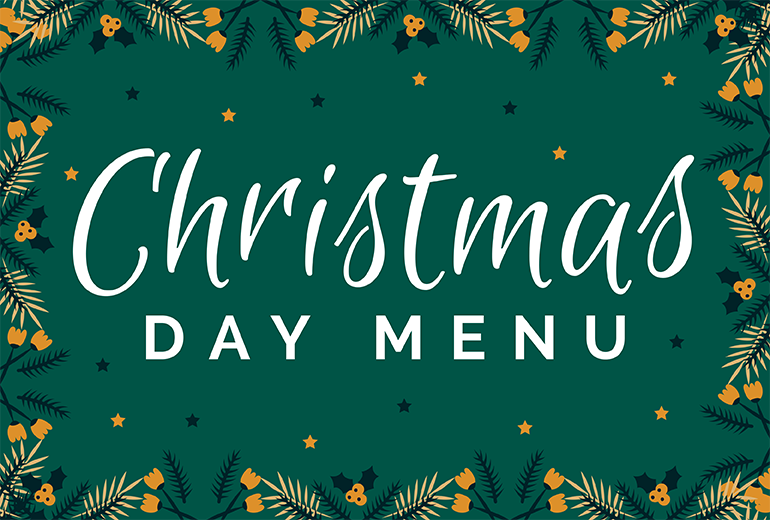 The Christmas Day menu includes, drinks on arrival, canapes, starter, fruit sorbet, main course, dessert, cheese table, followed by tea, coffee and mince pies. The menu is priced at £70.00 per person, £25.00 for under 10’s and under 3’s are free. 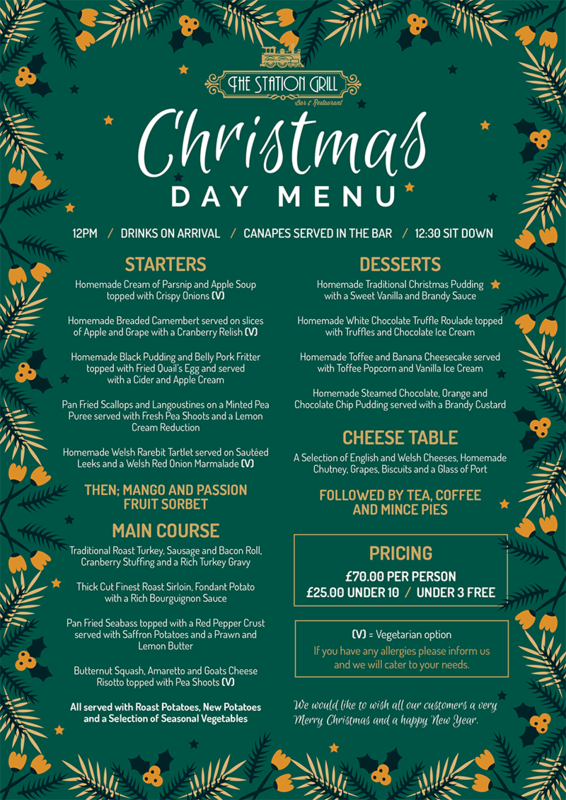 See below the exclusive Christmas menu. If you would like to book a table, please contact us on 01691 828478 (limited availability).